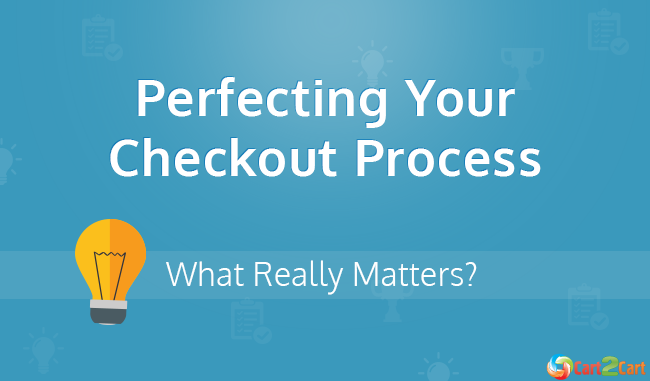 Do you have an idea how many potential purchases are lost at the very final stage of the process - the checkout page? According to a recent research by Baymard Institute, this number is over 68%. What it means, you’re going high and low to find new prospects, drive them to your website, attract with compelling images, descriptions, prices, promos etc. - and they go off the hook right when they’ve almost converted into happy buyers. Very disappointing, isn’t it? Well, instead of feeling miserable at such unfairness, it is much better to find out what prevents prospects from becoming customers and how to fix the situation. The ultimate way to increase your conversion rate and decrease the number of abandoned carts is continuous A/B testing of the changes you want to implement at the checkout page in order to identify the most effective variant. However, how do you know what needs to be changed in the first place? Today’s infographic from Visual Website Optimizer helps you with the task. It points out the most frequent reasons of cart abandonment and suggests the elements that are crucial for the successful and trouble-free checkout process. Surely, there is no one-size fits all solution, since stores are extremely versatile and so is their clientele. However, there are things common for all customers around the world - no one likes to fill in long forms, be limited in payment methods or submit payment to the system with very doubtful security. There’s much more than that to the issue, so you’d better move over to the infographic itself for inspiration and ideas. After consuming the data from above, it is very important that you don’t rush into making drastic changes based on assumptions. To make them really effective, think over each alteration, implement them one at a time and test, test, test till you’re satisfied with the result or at least till you witness your conversion rate graph going well up.